• Can be played 2 vs 2, FFA or Team Deathmatch. • Built from scratch based on sketches and whiteboxing. • Smooth edges for easy movement. • Weapons placed based on effectiveness/strength. • All paths split but ultimately connect to each other. All paths split off in 2 directions to prevent players from being trapped in corridors or tight spaces. This could be open corridors, jump-pads, lifts etc. All pick-ups such as weapons, health packs and ammunition should be placed for easy access without breaking the movement flow: No stops. A map should be designed around speed and offer at least a few more open spaces for players to duel out on. Weapons and its ammunition separated to different locations and sometimes placed were its hard-to-reach based on their potency and effectiveness. Bunny-hopping is a technique where the player time between crouching and jumping to increase their speed drastically. In most older games it is an exploit or bug but in Reflex Arena it is an intended mechanic. All corners, edges, and jumps have to be smooth and curved to make sure players can navigate without getting stuck or lose speed. 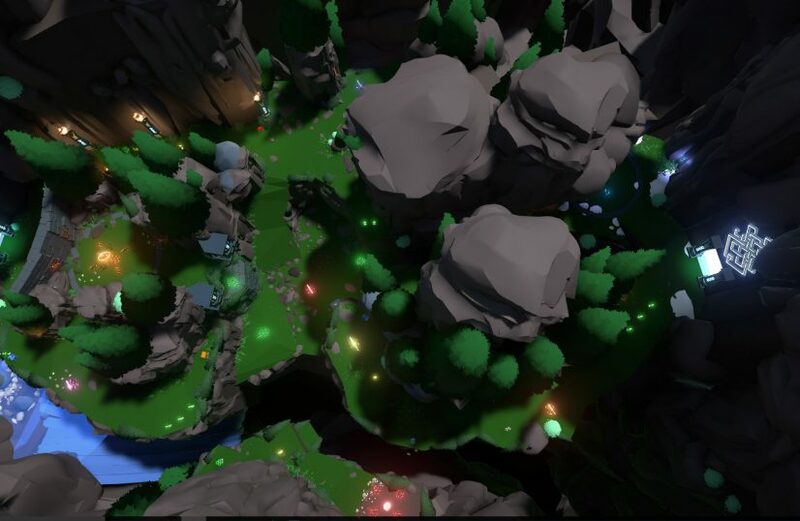 Creating a map in a natural setting with large rocks, cliffs, roots, branches and bushes without removing the natural feeling is a challenge. 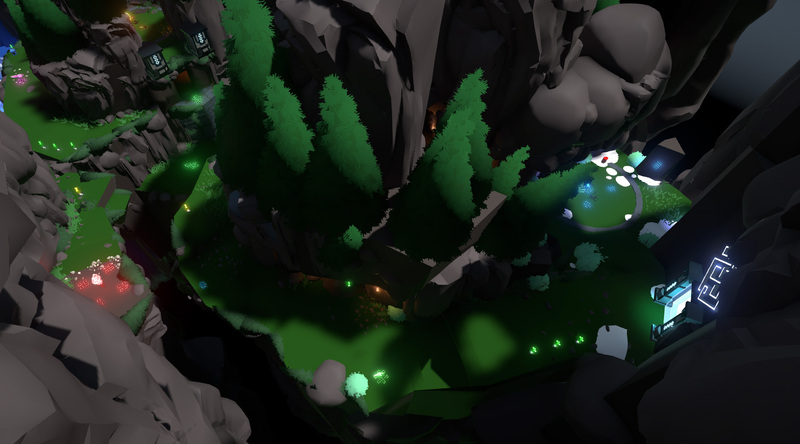 It took quite some playtesting both alone and online to make sure all cliff edges and open areas where accessible and easy to move through with all trees and asymmetric walls around. A top view of the map. The 2D map layouts were added after to explain paths and flow. The edge to the right was first added as an experimental third point of interest where the Super Armor could be acquired and it offered a second path to and away from the fortress. After playtesting with friends and players online it was kept. 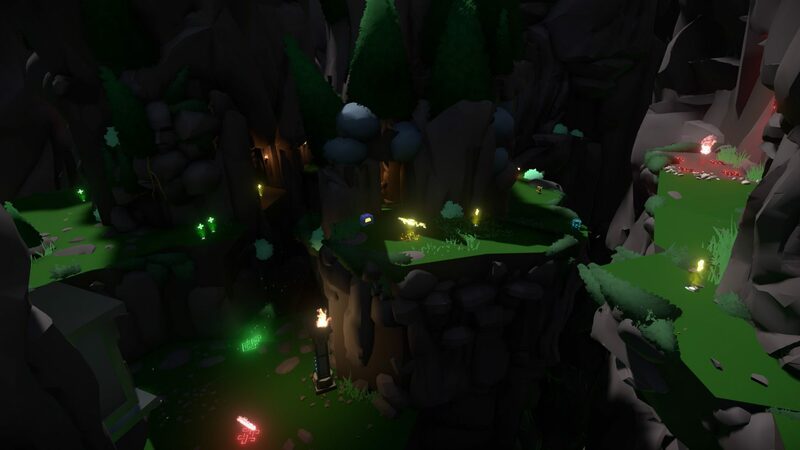 The Ravine was first intended to have a bottom connected to the bottom level but it was scrapped to make the map more interesting. I later added one extra ledge so that the ravine could be traversed from any direction. (Edit) Looking at it now from a design perspective, the ravine could have been larger and rounded with platforms on the sides and perhaps have a powerful pickup in the middle of a hard to access platform. 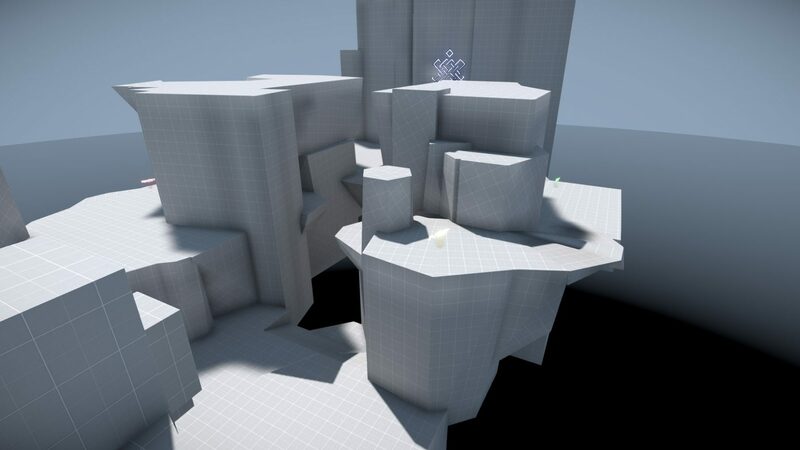 When I started the project my first idea was to create an Unreal Tournament map but during the sketch and design phase, my teacher told me about Reflex Arena. 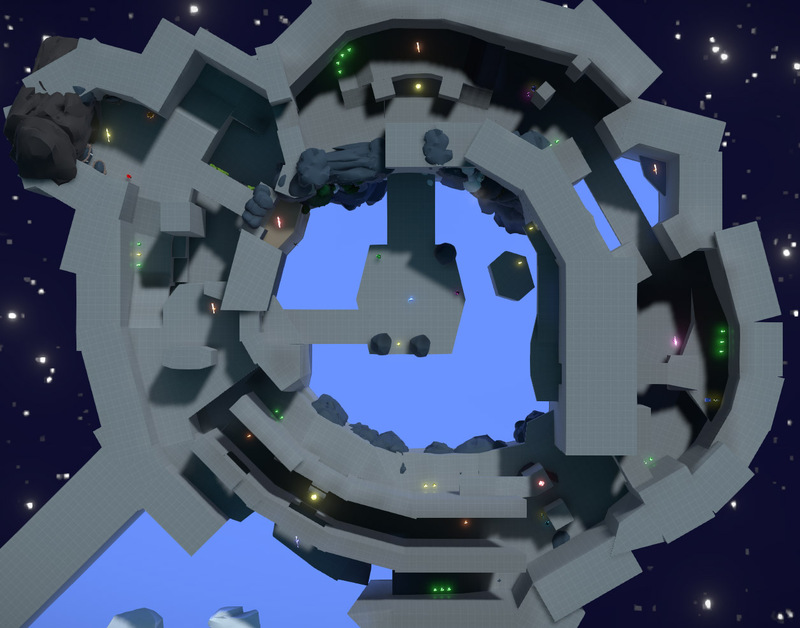 Reflex Arena is a first-person shooter inspired by Quake 3 Arena made by Turbo Pixel Studio and was released on early access 2014. 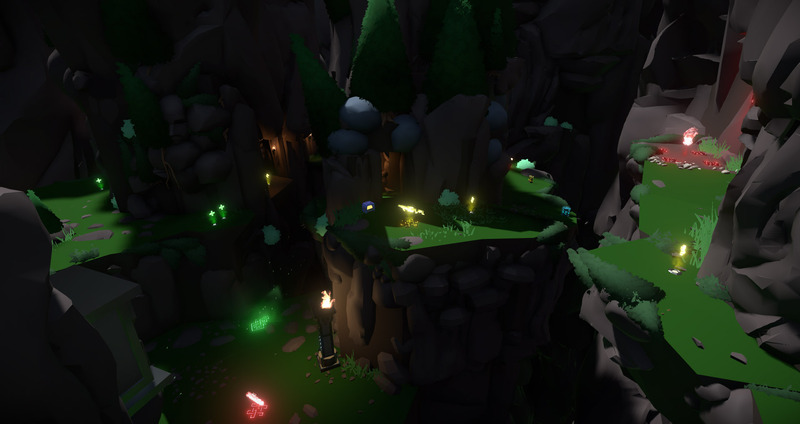 The engine offers a fair amount of assets but for the most part, everything is built in BSP. 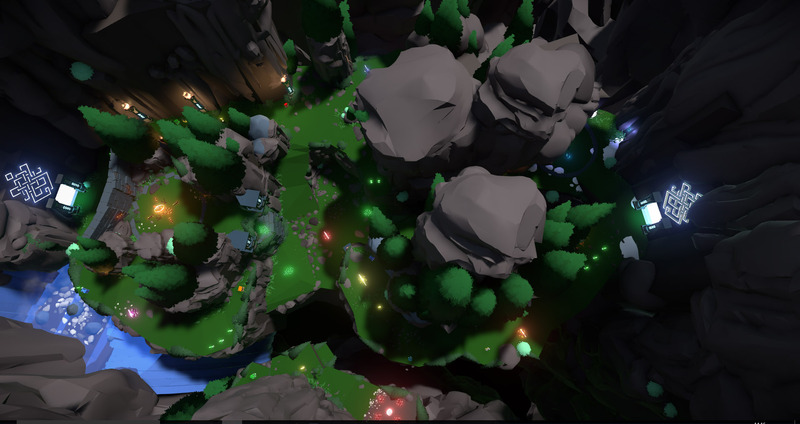 The round shape gave the map a nice feel when it came to orienting and finding weapons but the flow was, just like the map, circular and during playtests, players mostly ran around in a circle with little choice of paths. As it was still early in the production I went into Reflex Arena again to see how they solved flow and how the official maps layouts looked. I realized that most paths quickly separate into 2 different paths. Unless a path leads to a powerful pickup or unique area the paths are equally easy to follow and change too. 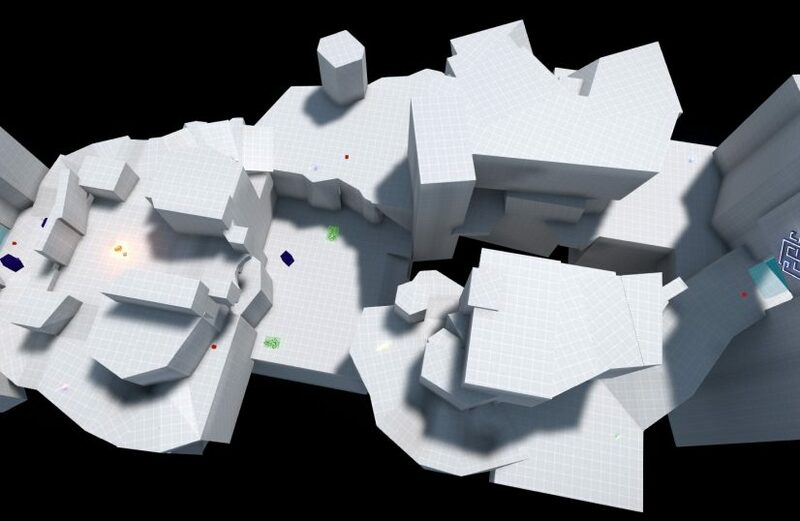 The second problem I had was that I wanted the map to be organic with fjord cliffs or glacier like walls. 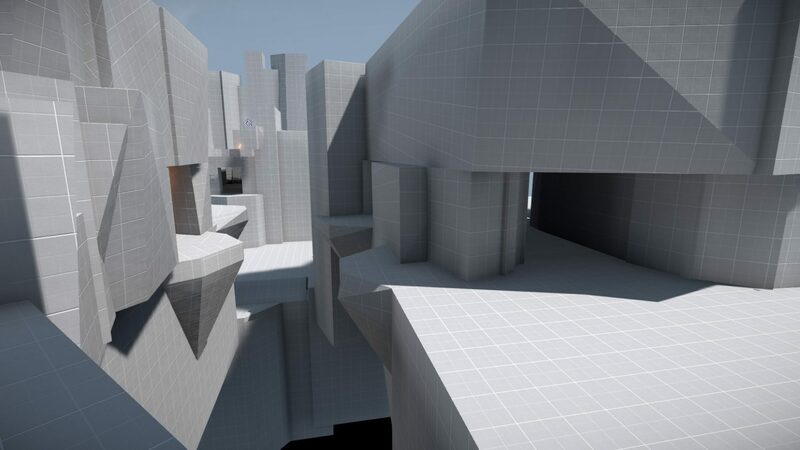 Reflex maps are most commonly set in sci-fi environments and squared edges. 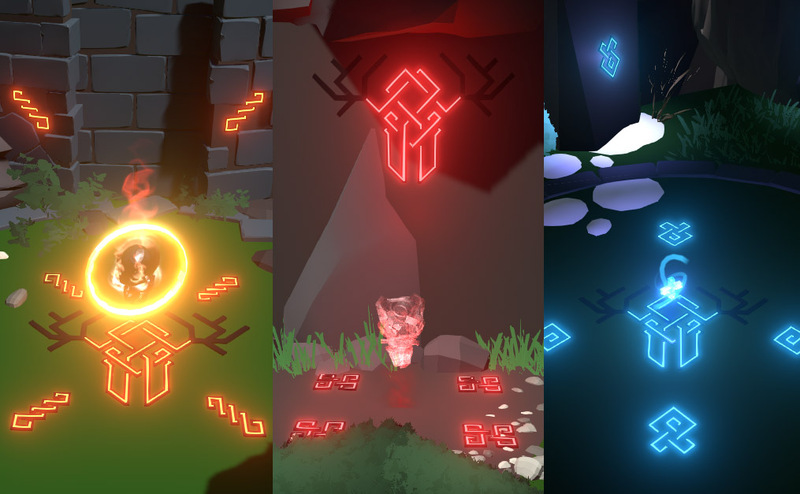 Creating a map that not only felt good gameplay wise but also had organic and natural shapes was a hard task in a game editor which had a tendency to snap in square shapes and forms. I proceeded to design a new top-down with focus on path alternatives and flow between different areas. 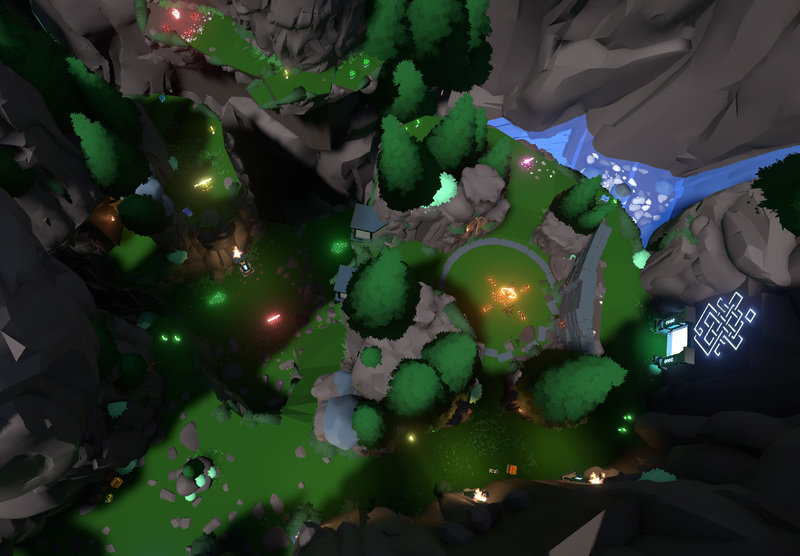 I made sure that each path was connected with two others with smooth bends but also designed after cliff sides and natural obstacles. In short, leading the player subconsciously. 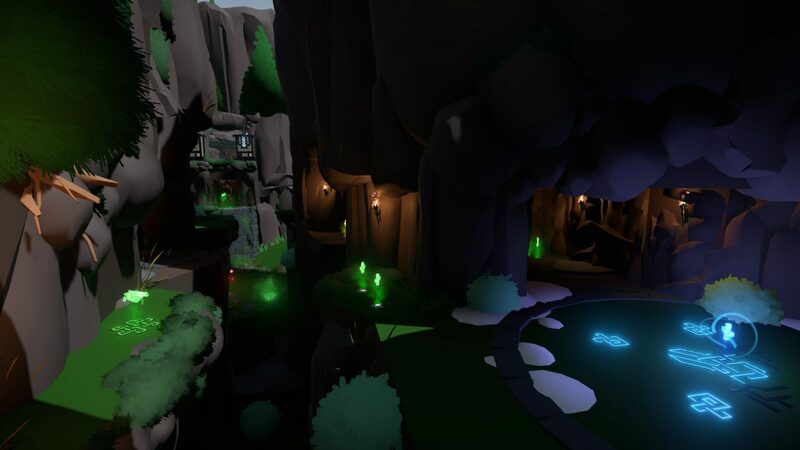 I was already familiar with Unreal Tournament since before and had already created a map as part of the school’s education so I had somewhat of what worked and want didn’t. I started with some gameplay and video research on Reflex Arena and took notes of dimensions, player movement and map layouts. For example, the Rocket Launcher was placed in the middle of the map in front of the fortress. This spot can easily be seen from almost everywhere on the map making it a gamble to take it. To not punish the player too much or trap them down in the hole I placed 3 different jump pads which send you to an edge on the fortress, the cliff side or to the other side of the map. As the new map was blocked out I made sure to test it with a few friends and other players for their opinion. 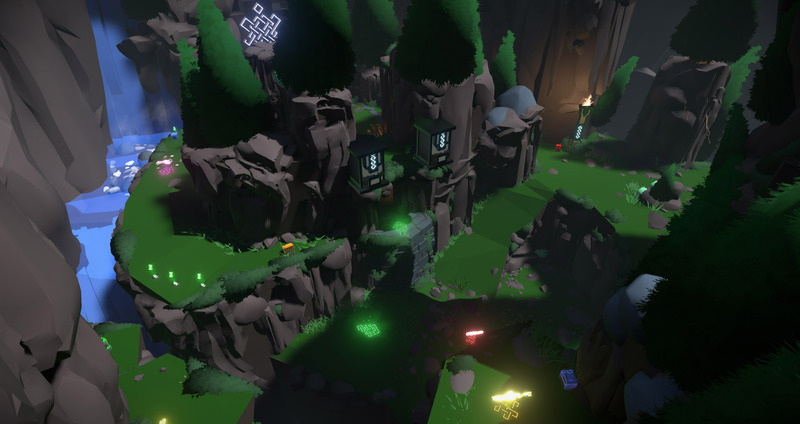 They gave me quite a lot of good feedback on places which could be reached with rocket jump, areas and cliff edges that felt mistrustful, distance and the target location of jump pads and items that felt too easy to access or too difficult to access for their worth. 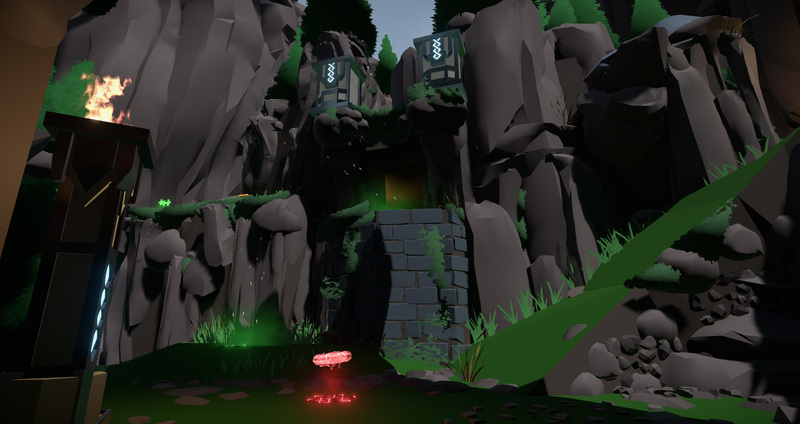 When the basic shapes were done I started to create some extra detail to the terrain. 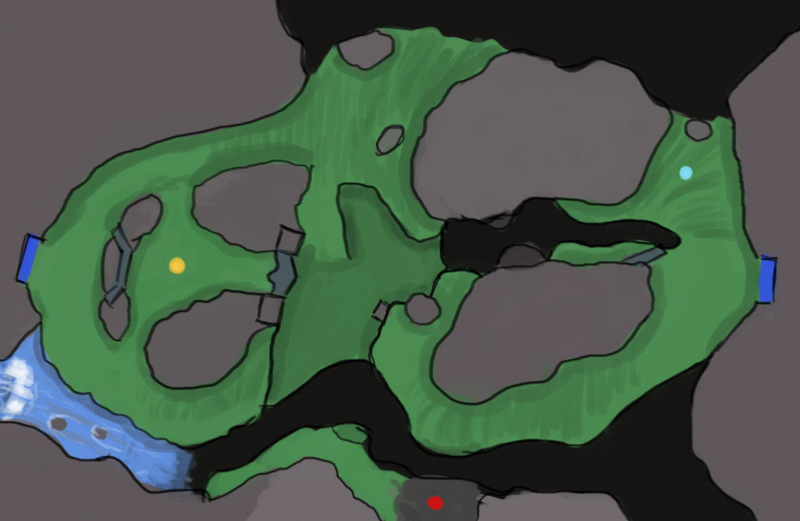 I began to give the map more color and detail with ravines, docks and trees to give it the final Fjord feel I wanted. 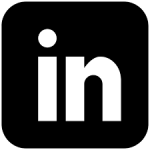 The graphics are often only a single color and have sharp squared edges, just my type. To save some time for later I opened the Reflex Arena training maps and made some notes of the maximum jump height, how long the player could jump, the average length and height of doors and corridors etc. When I felt that I had what I needed I started to make some sketches of layouts and different rooms. After a couple of different layouts, I chose one designed like a circle with a platform in the center. The platform would have some kind of strong power-up which would be visible from all sides of the map. Something the player could navigate from and an item with risk and reward in one. 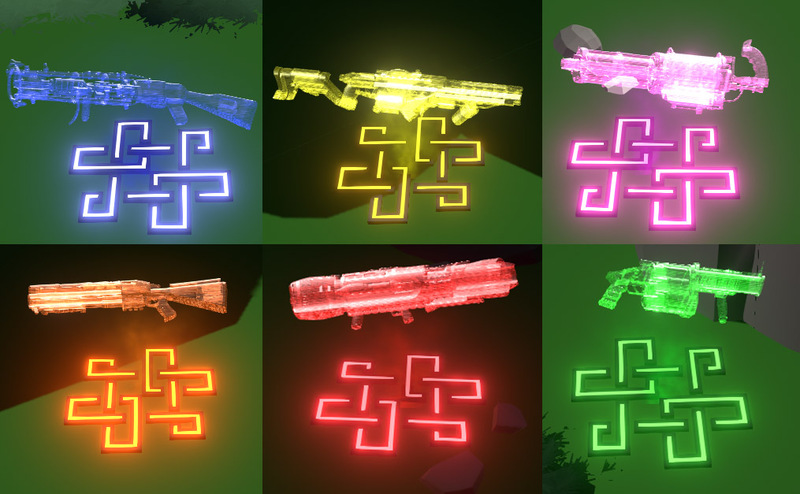 To make it easier to identify weapon locations I created a rune which I placed underneath and gave it the same color as the weapons. This meant that even if the weapon had been collected by another player their spots could easily be identified. The same thing was done with the Red armor (Strong armor buff), Megahealth (100% extra health which slowly ticks down) and Carnage (x4 damage buff) so that the locations easier could be recognized. 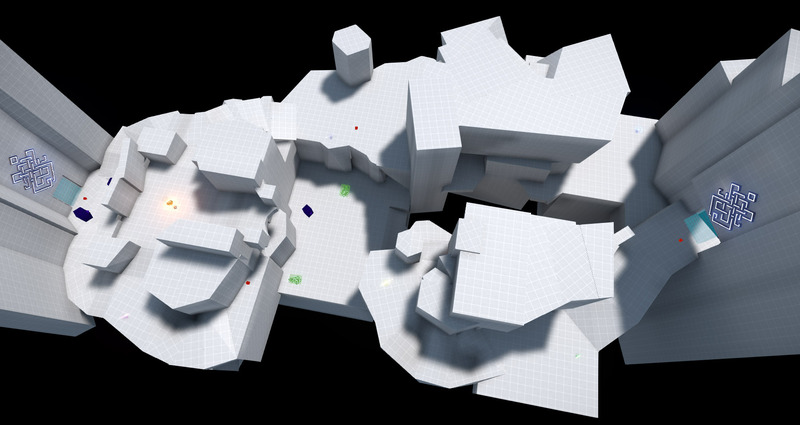 I am quite pleased with the finished result, the map has the smooth turns you’d expect in a good Reflex/Quake map. 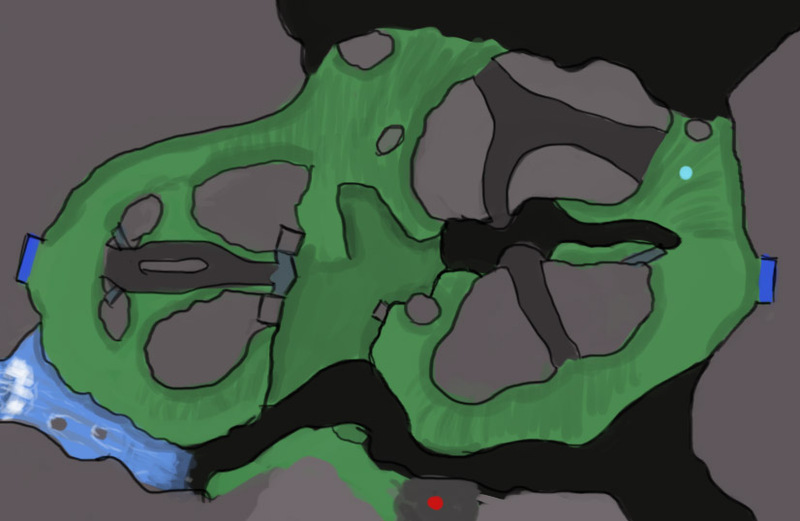 The cliffs in the middle effectively hide different parts of the map, creating key locations or “battlefields”. 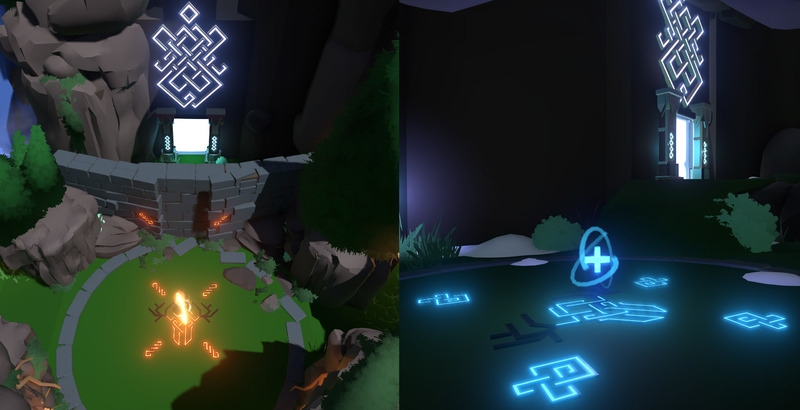 The ravine in the middle, the two portals and the fortress-like structure are memorable locations which stick out and makes the map unique.